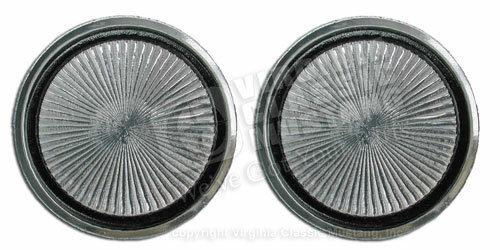 1968-70 Mustang and other Fords Seat Belt Release Button Aluminum Disc. Made just like the original in Aluminum with the correct pattern and detail. Sold as a pair (two in kit).